She told him about Loretta’s tirade and how it led to the conversation with Mandy; she asked him if it was true, did he love her? Billy had betrayed both of them. Yes, it may look like Janis and Jerry are going to get together, but there are a lot more obstacles they are going to have to overcome. I hope you've enjoyed this little preview. Next week I am moving on to another story. While avid sports fans will be watching the game today, there are those who are in it just for the snackage and drinks, and even more who will be glued to TV sets all over just for the commercials - "A 30-second advertisement during this year's game costs a cool $4.5 million. That's an average of $150,000 per second." Oh my! This year running right alongside well-trained horses and lost puppies, attractively scented men, cell-phones, and frugal hotel accommodations, will be a very important PSA (public service announcement) that will hopefully get people thinking and talking. more about the message here I've written about relationships and sometimes my stories talk about abusive relationships, but this video about a real life 911 call truly chills me. It's a subject we need to talk about - get involved. ~~~~~~~~ Meanwhile, this is a shoutout to the brave (& probably slightly off-their-rockers!) folks who will be running into the ice-cold and frigid waters of the Hudson River in Stony Point NY today to help raise funds for local children with high medical bills; in 2013 they raised funds to help families devastated by SuperStorm Sandy. This yearly event hosts hundreds of "swimmers" and thousands of watchers and has raised thousands of dollars for its beneficiaries. If you'd like to help a worthy cause please click HERE my daughter participates every year (oy! ); in this video from 2013 she is one of the two gals wearing Viking helmets! 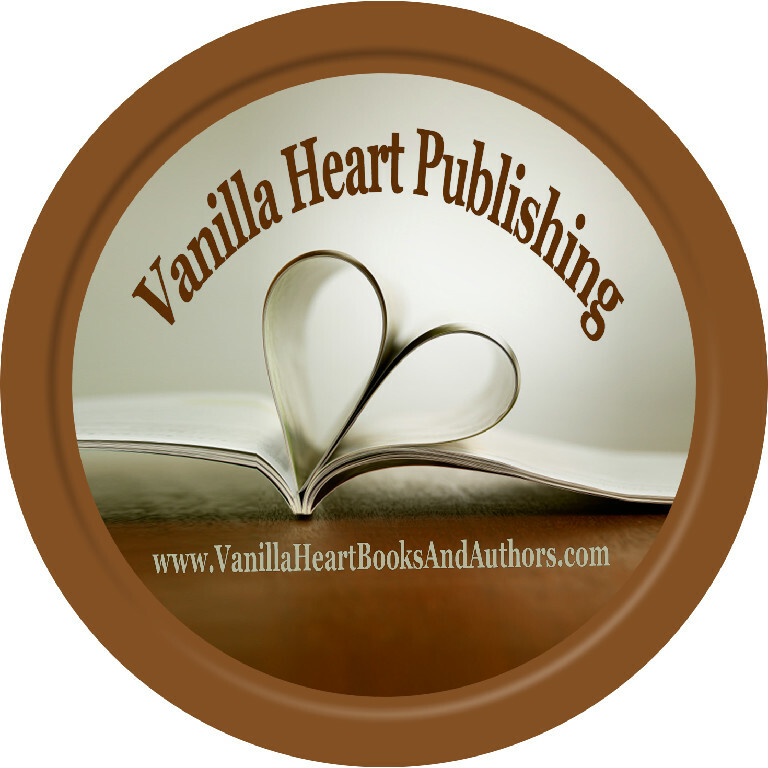 Preditors & Editors sent out the official e-mail! 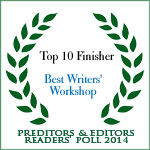 The Results of the 2014 Preditors & Editors Readers' Poll are in! Authors, Books & Publisher,ALL had impressive results! Is it really any wonder that most of us tend to overfill our homes with memorabilia and other items we just can't seem to throw out? And eventually when the natural time comes to consider downsizing it seems overwhelming. Oy. Reality TV inundates us with alleged financial windfalls from otherwise innocuous attics and closets and we are left wondering why our moms made us throw out those old 12-cent DC Comics, baseball trading cards, Barbie dolls, and so much more. "Clean up your room", "Get rid of the clutter"... I once had a friend whose mom tossed a complete tea set because it looked tarnished only to find out later that it was an antique pewter tea set. Stories such as that kind of make you paranoid about what you might be throwing away. But there comes a time when you have to figuratively bite the bullet and let go - how do you decide what to keep and what to toss? How much value do you place on a child's first-grade drawing that still adorns your kitchen wall? What do you preserve? How long do you keep that collectible that will surely being you more money than you paid for it and not necessarily a lot more? We've reached the point in our lives where we want to clean out the clutter - the kids are married and aside from the cats, we are only responsible for ourselves. In the house where we raised our family, though, there's a whole lot of memories both in our hearts and in our closets. Nowadays as I go through drawers, closets and stored boxes I keep asking myself "if I were moving tomorrow, would I be bringing this?" I've been going through my closet after losing a slight bit of weight (not as much as I want, but certainly enough to change the size I wear) and trying to wean out clothes to donate. Of course most of the "too big" stuff I gladly am getting rid of - a few formal outfits will probably make it to the seamstress to see if they can be altered. Then there's the stuff I USED to wear and now find I can fit into again, but the styles are so outdated... would I really want to be seen in THAT? It takes time though and a hardened heart to successfully eliminate all of the excess. Many of my childrens' crayoned paper artwork probably won't even survive removal from the walls and for that thank goodness for my cell phone camera - I am capturing those precious images JUST IN CASE. Anything that does stand up to time will most probably be put into an inexpensive album alongside the photos of what doesn't last. Another book for a bookcase. And omigoodness books! I will NEVER toss a book into the garbage and maybe that's where my problem begins. 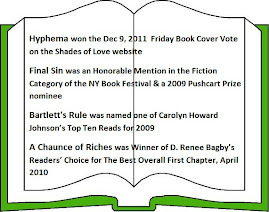 Currently I have two-thirds of the walls in my family room covered with overcrowded book shelves, books in my office, books in boxes, books on my nightstand, and this doesn't even begin to account for the copies of my own authored books that I have on hand for various author events (by the way, if you want to purchase any contact me for personally autographed copies!). I have a feeling that a few local libraries and hospitals will soon be getting sick of seeing me. My daughter made a wonderful suggestion and, I won't admit it to her, but when the time comes that we do pack up our house and make a move, we will pack our boxes with the absolute necessaries and everything else will be put into boxes labeled with numbered priorities; if it doesn't fit in the truck, it does not go. It's brutal to think about. Would she have married Billy if she had known how Jerry felt? The phone rang and startled her; caller ID said it was Jerry’s cell phone. “Hey, are you okay?” he sounded concerned. “I, I’m fine,” her voice was shaky. any wonder I'm beginning to see grey strands lately?). Hope y'all are safely tucked away from any foul weather. offspring are career EMS so I still have an active interest in the profession. despite the dangers that may be lurking for them. crucial to the recovery of a community. Thanks for taking this little trip down memory lane with me! When my time comes to move on from this world I often wonder if my absence will be felt. Oh I know my immediate family will miss me – it’s fairly obvious that when you are a part of someone’s daily life your absence will be noticed and quite possibly mourned. 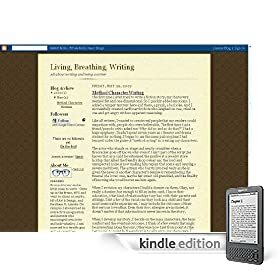 But how will I be remembered by my neighbors, the community, people that I have had contact with for work through the years… will I be remembered for the times I volunteered in different organizations, or for the works I’ve written as a writer? Will I be remembered at all? After I’ve been lowered into the ground will anyone even think of me; will anyone feel grateful that they ever knew me; will I have made a difference in anyone’s life? A personal fear that I have always had (sssh, I’m telling you this in confidence…) is that after I am gone, I will have just taken up space on this planet and that this world will be no better or worse for my having been here. Like most of us I dabble now and then on social media sites and I’ve enjoyed indulging my need for nostalgia by being a part of groups like school alumni or neighborhood crowds from my childhood. I am always amazed and pleasantly surprised when I’m remembered by someone from my past that I lost touch with long ago. Somehow I must have been more than just body taking up space and I am encouraged. Some people are encouraging the idea of “Living Eulogies”, speeches others would say about a life while the person is still around (on this earth) to hear. Sometimes referred to as “The Dash” these speeches talk about the things that dash represents, everything that went on between the birth date and the date of death. What contributions did the subject make to the world around him? How did she impact the lives of the people she knew. A Living Eulogy can be a tribute for an elderly family member, a way of showing appreciation at a milestone event, or even for some who wants a preview of what will be said eventually. Would I want to hear my eulogy while I could sit there and critique it? Would the eulogy be truly something that would be said at my funeral with just the good stuff — or would it be honest and spoken by folks who truly know me and would I really want to hear the truth? My mother always said not to speak ill of the dead; I can’t help but think of the joke where a Rabbi was delivering a eulogy for a man and his widow turned to her son and asked him to check to make sure it really was his father in the casket. Hopefully when my time comes there will be good things to be said by people who will even remember my name. She was breathless. “What did Billy tell you?” She felt her throat tightening and fought to hold back tears. This is a photo of my mom and dad dancing at my sister's wedding, June 18, 1970. 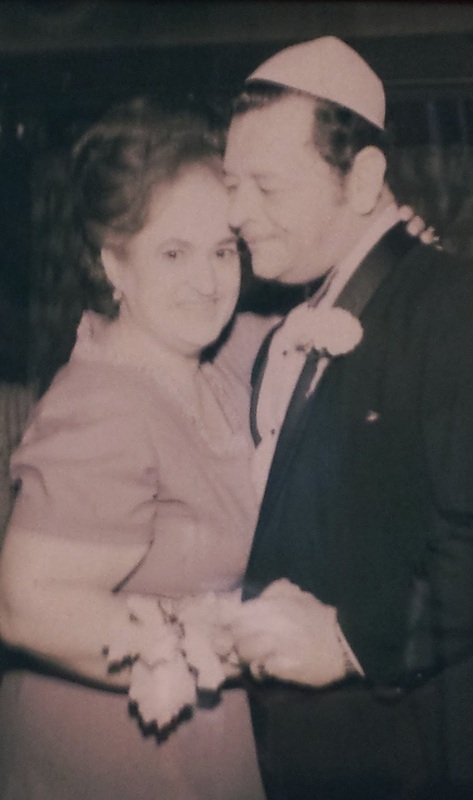 They always loved to dance and I often found them in each other's arms in the living room of our Bronx apartment with my dad singing love songs to her. 35 years ago today, January 15, 1979, my mom passed away, my dad had died almost 2 years earlier. That day Mark & I saw a very clear stair shaped cloud and we both imagined Mommy climbing those stairs to meet Daddy at the top... and I know that this picture was re-enacted that day and many times since. They often told me how they met during WW2 at a train station in Charleston, South Carolina, and while I've heard different versions of their first meeting from other family members, the story Mommy & Daddy told me was always so romantic. Their life together (nearly 32-years of marriage before death separated them - temporarily) was always filled with romance. Daddy was always singing love songs with Mommy either dancing in his arms or serenading her with his guitar. His favorite songs were Begin the Beguine and Spanish Harlem; he sang in both English and Spanish. He lit his cigarette and took a drag. Then he walked over to the woman. She could tell by the nasal quality of his accent that he was a northern boy. Maybe this was how they acted up there but he was being awfully forward. She was raised to be polite and couldn‘t ignore his speaking to her. “Good morning sir.” She hoped he would go away. “I‘ve been riding this train all morning – transporting a prisoner.” He motioned proudly to the M.P. sash on his arm. She glanced quickly at his armband and realized he was probably trying to impress her. Jeannette gave him a polite half-smile and turned her head. She was trying to watch to see where her friend got a seat, but he wasn‘t making it easy. Some of the more memorable characters today come from television commercials. Some popular favorites include Flo the Progressive Girl (Stephanie Courtney), the Geico Gekko, Jan from Toyota (Laurel Coppock), the Allstate Voice (Dennis Haybert), and Old Spice (Isaiah Mustafa… ooh-la-la!). I think of Samantha Chaunce who gave the only thing she had to give to help the man she loved and I think of Ben Johnson’s hurt over what he thought was Sam’s betrayal (A Chaunce of Riches). I think of Tom Hughes, a man who thought he would never fall in love again until he meets Alli Davis the lawyer who is defending the man who killed Tom’s fiancé (Within the Law). 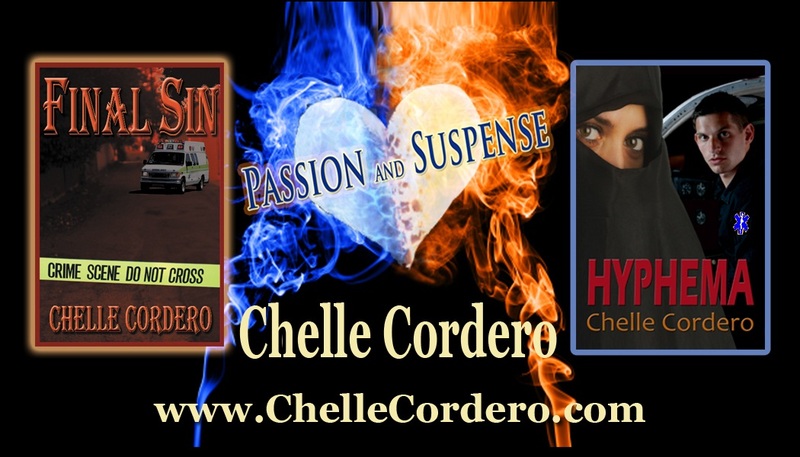 I think of Julie Jennings whose life’s vocation as a paramedic is saving lives when she becomes the coveted subject of a vicious stalker and I think of Sheriff Jake Carlson who is in love with Julie and trying to stop the stalker before he kills again (Final Sin). 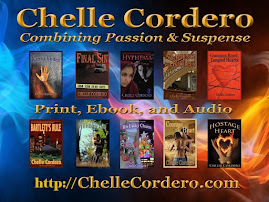 And so often I think of Janis Phelan and Jerry Stein, friends, patrol partners, and more in my short story More Than A Friend (The Many Faces of Chelle Cordero); these two were originally born to tell a story long before my first novel ever made it into print. 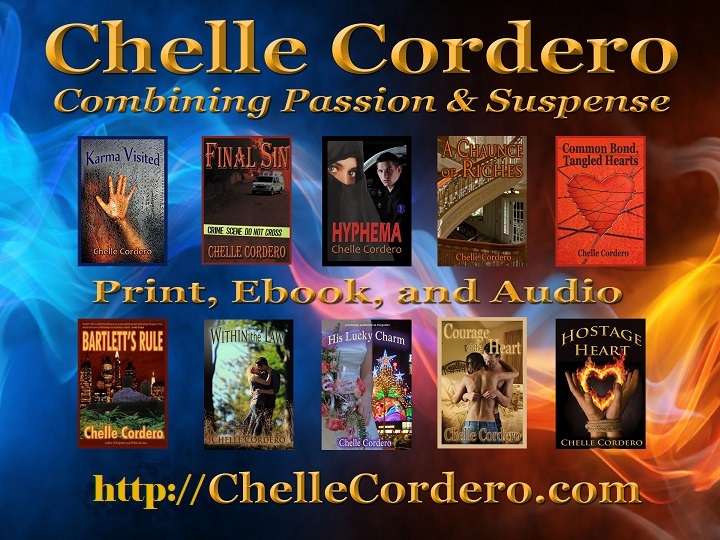 I hope that my characters will be memorable to readers long after they close the covers of my books — or power down their e-reader. I’d like to know that I managed to bring heroes and heroines to life and that they will be remembered — and yes, I hope the author will be remembered, too. It’s all lies — Pretense —Make believe. Why? Why do some people think they need to be someone or something else than who they are? Do they really feel such a lack of confidence in themselves, or is it distaste? I’ve heard people telling “war stories” repeatedly and the more often they tell them, the more we have cause to question them because of how much they change each time. Sometimes the stories are about war, sometimes they aren’t. These stories could be as innocuous as exaggerating about the price of paint, each time the story was told the cans of paint became more and more expensive; most times these tales can be put up with because they really do no harm. 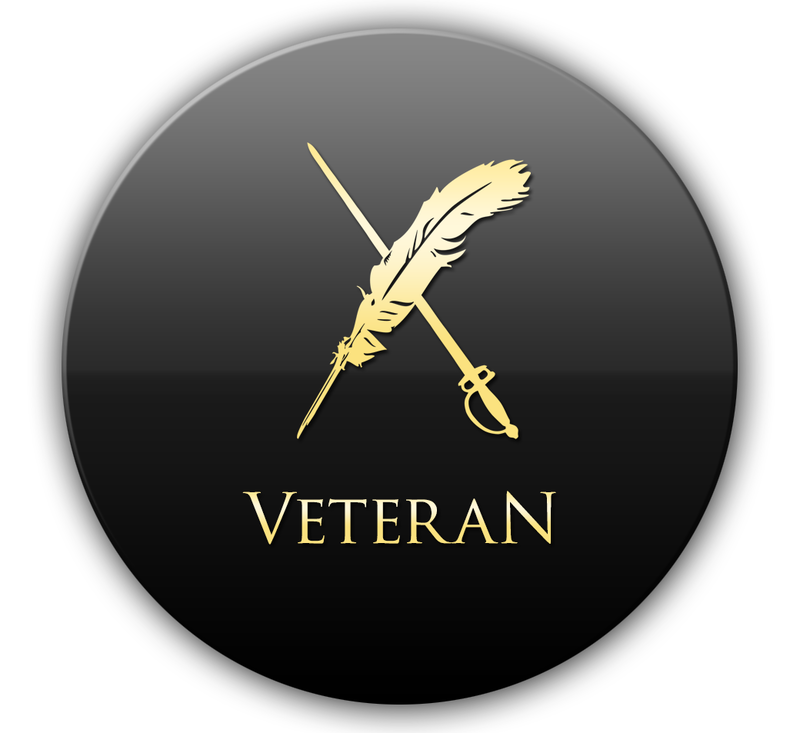 Then there are the times the stories are indeed wanna-be glory-hounds pretending to be war veterans, those annoy me. I used to know a man who pretended to have served in Viet Nam and told numerous stories about some of the “great battles” he fought… to be honest, he would have been 12-years old for one of these battles! He introduced himself in group situations as a vet, tried to join organizations designed for vets, and lied to his own family about his war service. He was finally confronted by an actual war veteran and the last I heard he is no longer announcing his service in public forums – and it’s obvious he is angry at being denied the chance to boast. Why would someone continue to promulgate such lies, these are fraudulent and of course if there is any chance of benefits might even be illegal. Does such a person have emotional damage, feelings of insecurity, a desperate need for attention, or even feelings of powerlessness? How are we supposed to react when we know these people who are lying to our faces? How much should we care and how much time should we invest in trying to correct the behavior? According to Bully OnLine, people with Narcissistic Personality Disorder will often “fraudulently claim to have qualifications or experience or affiliations or associations which they don't have or aren't entitled to. Belief in superiority, inflating their self-esteem to match that of senior or important people with whom they associate or identify, insisting on having the ‘top’ professionals or being affiliated with the ‘best’ institutions, but criticizing the same people who disappoint them are also common features of narcissistic personality disorder.” Narcissists have fragile self-esteem and anger issues, are envious of others, abuse special privileges, and are arrogant and haughty. I’ve reached the point that unless the person’s lies are hurting someone, I just ignore them. Maybe that’s just the easy way… How many people do you know who fit this personality? How do you react around them and their lies? I’d love to hear your opinion. “Billy walked out, he said he needed space.” Janis remembered the door slamming behind him as she sat on the floor crying. “You never tried to stop him,” Loretta screeched at Janis. “Momma, please calm down,” Mandy seemed at a loss of what to say. stifling it would be an evil still.